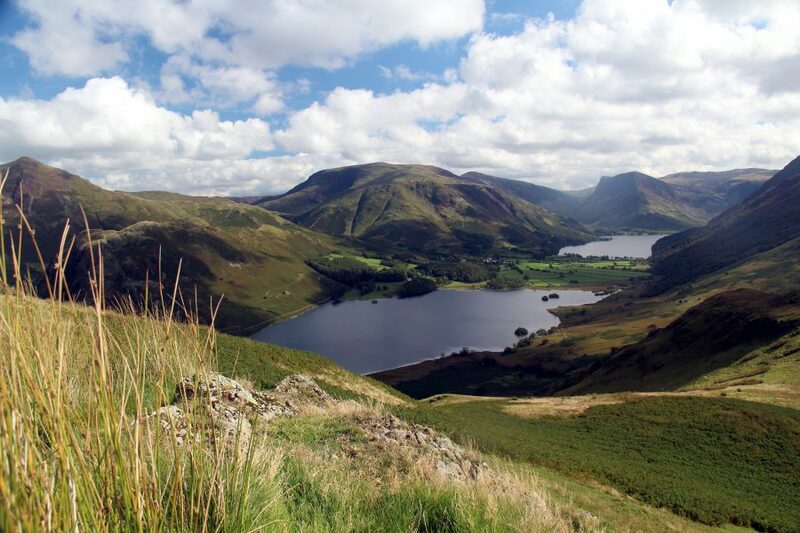 If you’re looking for somewhere to stay in the Lake District’s most beautiful corner – well, that’s my opinion – then look no further than Hassness Country House, run by Ramblers Worldwide Holidays. This grand, white-walled manor-styled property is the jewel in the operator’s wide-ranging portfolio. 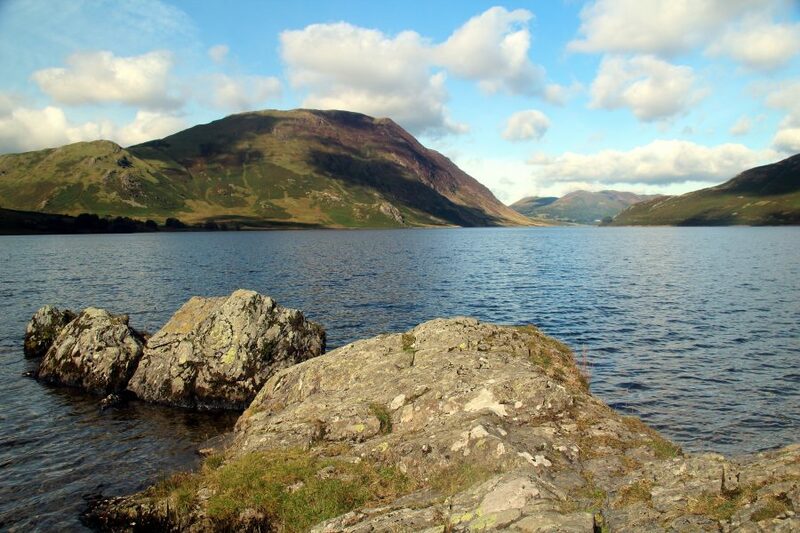 It’s easy to see why because it has much to offer, including a smashing location alongside the shores of Buttermere, a tranquil spot amid the Western Fells. 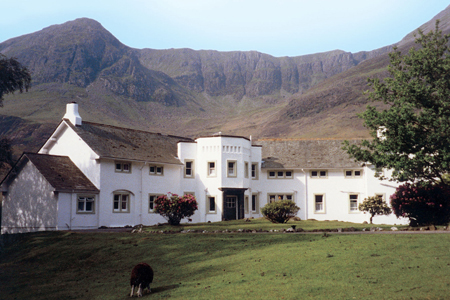 Back in 1955, Ramblers Worldwide Holidays were invited by the Lake District Planning Board to lease the property – and I’m glad they grasped the opportunity; and so are the thousands of people who’ve stayed at this glorious retreat. I stayed at Hassness for four nights. It was the first time I’d booked a stay with Ramblers Worldwide Holidays, a company established in 1946 who regard themselves as the experts in guided-walking adventures. 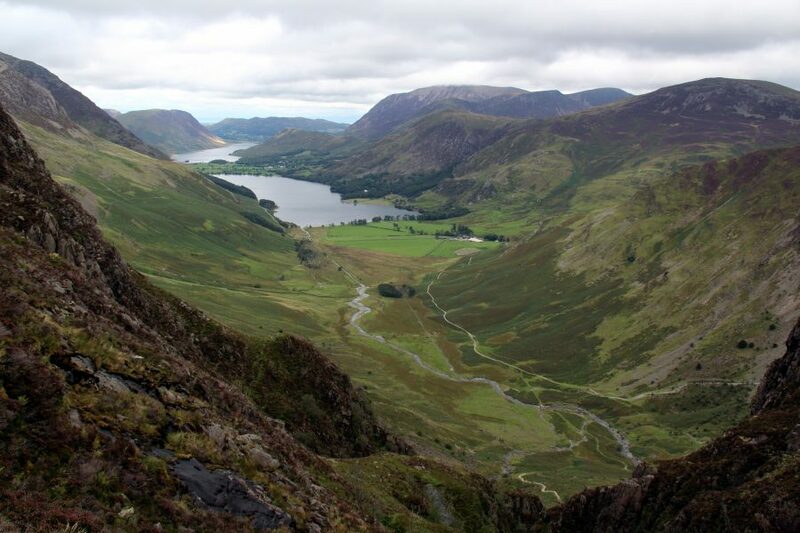 In 1953, when the concept of guided-walking was in its infancy, the Ramblers searched for a suitable property in the Lake District and Hassness was the result. I knew before jumping in my car to drive north that this would be a break to remember. I’ve visited the Lakes many times and always wanted to stay in this part of the region. 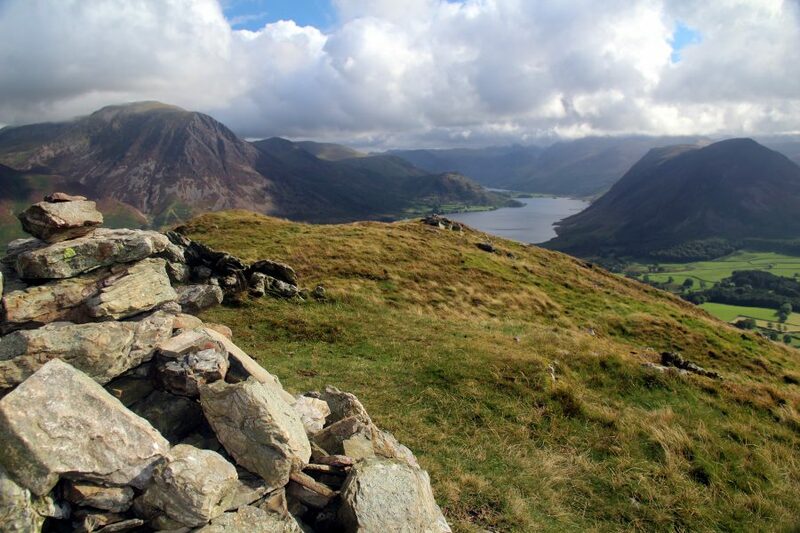 Hassness afforded me the chance to not only wake up and look out across Buttermere but to walk the majestic fells encircling this spot – something you can achieve without having to drive because they’re right on the doorstep. 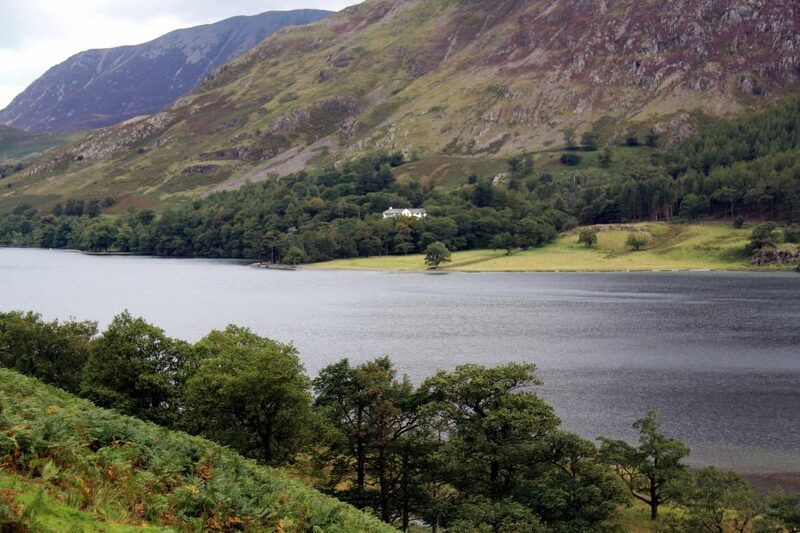 Hassness House sits a stone’s throw from the lake and approximately a mile from Buttermere village. I picked up a leaflet at the house and saw a quote from a former guest printed on the front – and how apposite, I thought. “More like staying in a friend’s sumptuous country house,” stated the anonymous writer and they’re right. Add to that the fact Brian, Carole and Ruby, the jovial hosts, treat you like long-held friends and you’ve got the perfect ingredients for an enjoyable stay. Hassness House caters for, among others, private groups, active breaks, courses, weddings, bed and breakfast and guided walking groups – all exclusively booked via Ramblers Worldwide Holidays. Three, four and seven-night breaks cost from £195pp, including full-board accommodation and the services of a dedicated tour leader. 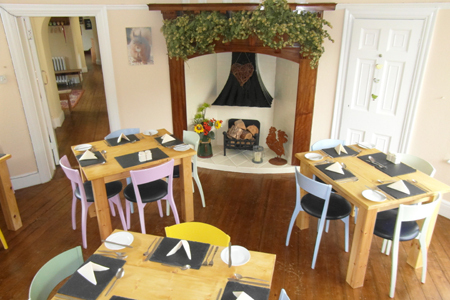 The house has been refurbished in recent years and contains eleven bedrooms, sleeping up to 19 guests. Each bedroom (there is one double, seven twins and three singles) has its own sink, towels are provided and hairdryers available. Unfortunately, none are ensuite but there are five bathrooms – all containing high-powered showers, complimentary toiletries and are spotless. 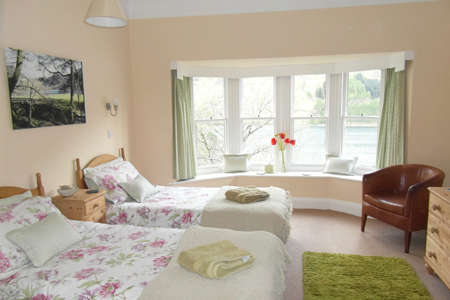 Each bedroom looks out across Buttermere lake, although the view can be slightly obscured in some rooms when the surrounding trees are in leaf. 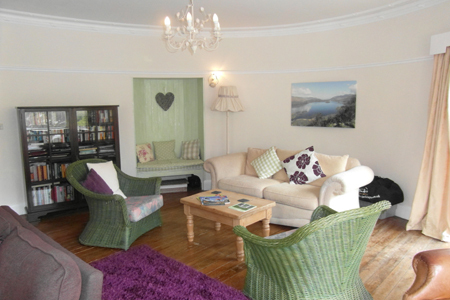 Within the house, there’s no TV or mobile signal but wifi is available in the lounge. A drying room is available for wet clothes and boots. You don’t have to worry about parking space either because there’s plenty right outside the house. The guests’ kitchen, offering a microwave and complimentary tea and coffee, was well used during the evenings. Along with fellow guests, I frequently made a cuppa and relaxed in the spacious, oval-shaped lounge. 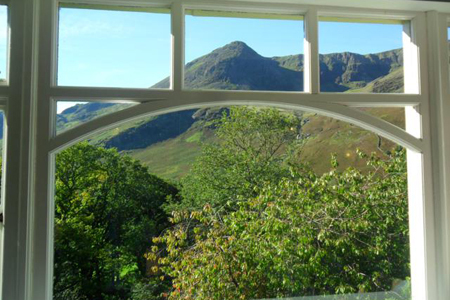 Here, everyone chatted or simply gazed through the expansive windows looking towards the lake and fells. Other people read one of the many books on offer or played board games. All meals were included, except on Tuesdays when dinner was enjoyed at one of the local pubs (it was the housekeepers’ day off – and they earnt it). Each morning, a hearty breakfast set me up well for the day’s walk while the packed lunch was very welcome. The three-course dinner (served at 7pm) was spot-on, too. The team want to make your stay as pleasurable as possible and are flexible concerning food. If you have a particular request for your sandwiches, they’ll try their best. The same applies at dinner. I’m vegetarian and often struggle when eating away from home, such is the lack of imagination shown by some chefs in pubs and restaurants. But here, I enjoyed every meal. Brian’s job is helped, of course, by the booking staff at Ramblers’ HQ requesting details of dietary requirements during the booking process. One of the delights of staying at the house (check-in is from 3pm) was returning from your day’s walk, opening the door and seeing delicious homemade cakes – cooked by Ruby – waiting for you every afternoon; the ginger sponge was my favourite. Anyone suffering aching limbs after the day’s efforts can treat themselves at Hassness Haven, the on-site treatment room where you can enjoy a hot spa or a relaxing massage from a qualified masseuse. During my stay, I joined a guided walking group. But there was no pressure on me to walk with my fellow hikers. Each evening, Ray, the friendly tour leader, described the walk to be undertaken the following day. It was then up to each individual to choose the group walk, pick their own or simply relax at the house and admire the view – and what a view it is, too. But it’s not only the beautiful fells we enjoyed watching but the numerous red squirrels scurrying around the garden. Overall, as well as the house’s spectacular location, it was the hospitality shown by Brian, Carole and Ruby and the fab food which stood out as highlights of my stay. A break at Hassness House is highly recommended.